Detroit is one of the most densely populated cities in Michigan. It is also the largest city located in the US/Canadian border and the seat of Wayne County. It forms one of the ports on Detroit River. It is one of the ports that connects the Great Lakes region to the Saint Lawrence Seaway. It is a city located in Michigan County in The United States Of America. It is located on latitude 42.33 and -83.05 longitudes. It is elevated 192 meters above sea level. It links the Great Lakes system. It is centrally located in the area between the Great Lakes Megalopolis and the second greatest Metropolitan region in the US. Detroit airport is also among the most important transport infrastructure in the United States. 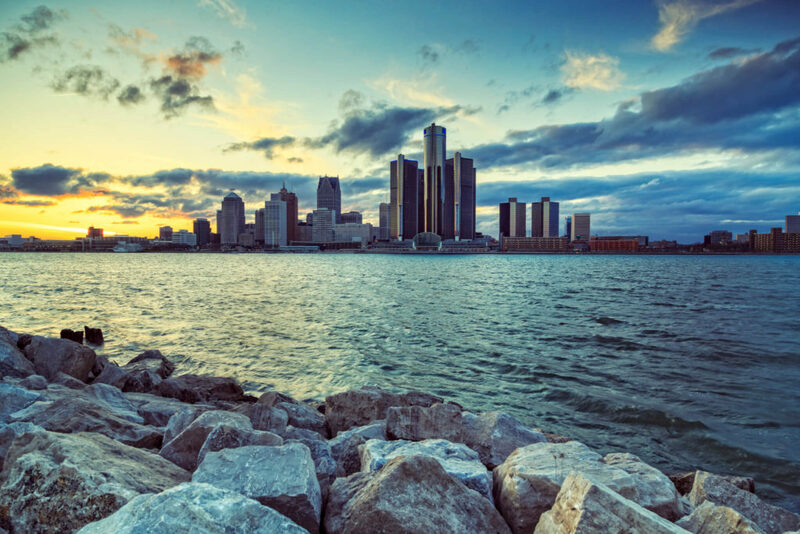 According to a 2016 census, the population in the Municipal of Detroit was 672,795 which made it the 25th most populous city in the United States of America. Metro Detroit plays host to a total of 4.3 million families. This makes it the second largest city in the Mid-West after Chicago. If you live in Detroit and have fallen victim to substance abuse don’t hesitate to seek treatment. There are enormous resources in at your disposal. The loss of a lot of industry and working-class individuals the city have resulted in high rates of poverty and associated problems. From 2014 to 2015, employment in Detroit decreased at a rate of -1.7%, from 224,532 employees to 220,707 employees. The most common employment opportunities, by the number of people living in Detroit, are Service, Sales & Office, and Management, Business, Science, & Arts. This list illustrates the share breakdown of the primary jobs held by residents of Detroit. From 2000 to 2009, the city median household income fell from $29,526 to $26,098, which is less than the median annual income in the continent of the United States. 39.8% of the population in Detroit (665,640 individuals) live below the poverty line, a number that is unlikely higher than the national average of 14.7%. The largest population living in poverty is male 25-35, followed by Female 35-44 and then Female 45-54. Drug use patterns in Detroit differ from those across the whole of the State of Michigan. In Detroit, heroin and cocaine are the two major abused drugs, based on treatment admissions, while heroin and prescription opioids/opiates rather than heroin are the major drugs of abuse in the rest of the State. However, mari­juana intake was widespread in both Detroit and across the State. While the rest of the state struggles primarily with prescription and synthetic opioids, the view is different in Wayne County, home to the city of Detroit, the poorest urban area in the nation. Crack cocaine is the most commonly used form of cocaine that leads to overdose. Nearly 16% of the state’s publically financed treatment admissions in Wayne County were as a result of cocaine and 33% were from heroin. Cocaine: Treatment admissions with cocaine as the primary drug accounted for 15.7 percent of total Detroit publicly funded admissions in 2013, continuing cocaine’s decline from its height of 33.8 percent in both 2000 and 2003. The proportion of publicly funded admissions in the rest of the State with cocaine reported as the primary drug was much lower (6 percent) from a height of 19 percent in 2006. Heroin: In 2013, treatment admissions in Detroit with heroin as the primary drug constituted 33.3 percent of all admissions, relatively stable from 2012, when the proportion of such admissions was 34.5 percent. The proportion of publicly funded admissions in the rest of the State with heroin as the primary drug was much lower (at 20.4 percent), but it continued to increase (the proportion was 13.8 percent in 2010). In Detroit, 64.6 percent of primary heroin treatment admissions were male; 82.3 percent were African-American (compared with 78.7 percent in 2011), and 85.8 percent were older than 35. Prescription Opioids/Opiates Other Than Heroin: Treatment admissions with prescription opioids/opiates other than heroin as the primary drug in Detroit accounted for 2.8 percent in 2012, compared with 15.6 percent for the rest of the State. Hydrocodone continued to be the prescription opioid most frequently identified in drug reports among items analyzed by NFLIS laboratories for both Wayne County and the State of Michigan in the first half of 2013. Marijuana/Cannabis: Treatment admissions with marijuana as the primary drug in Detroit accounted for 15.3 percent in 2013; this was similar to the 15.0 percent of primary marijuana admissions reported in 2011. Of these recent admissions, males represented 60.5 percent; 91.1 percent were African-American; the proportion younger than 18 was 21.5 percent (this represented a sustained decline from 28.9 percent in 2011). Drug abuse is on the rise in Detroit. In an effort to offset the rise in drug use there have been more campaigns to increase awareness of the risks associated with drugs. But what actually causes drug abuse? Traditionally there has been more of a focus on the behavior of the substance abuser rather than looking at their environment. There is little doubt though, that coming from certain environments like Detroit does predispose people to drug abuse. Those who grew up in dysfunctional households are more likely to turn to this type of activity. The fact that the use of these chemicals is often portrayed on TV and in the movies may also play a part. Those individuals who are from impoverished neighborhoods can turn to drugs as a response to the lack of opportunity in their life. Some inner city areas experience a lot of crime, and people living there may turn to addiction as a means to deal with the stress of this. Humans are highly influenced by other humans, and this plays a role in substance abuse. There is a lot of pressure on the individual to fit in with their peers. It can take a lot of self-esteem for the individual to be able to withstand peer pressure. This type of influence can be particularly strong in the teenage years, but it continues to exert an influence throughout the life of the individual. Recent studies in Detroit show how most young people begin using these substances due to the persuasion of friends. Some people are more susceptible to this type of pressure than others. Social learning theory suggests that substance abuse is a learned behavior. It is based on the idea that humans learn from observing other people. If the individual notices that using these substances seems to bring other people enjoy, it will encourage them to do the same. One reason why many individuals abuse substances are that they are attempting to self-medicate an existing mental health condition. Such people can be aware or unaware of their problem. They may just feel that something is not quite right in life. Those who are suffering from conditions such as depression or anxiety may find that they find temporary relief by turning to alcohol or other drugs. This approach may help in the short-term, but ultimately it can lead to a dual diagnosis. Not only do they still have a mental health problem, but also an addiction to deal with as well. Anyone who abuses these substances can also develop a mental health problem as a result. This may encourage them to escalate their usage. The choice theory has developed out of the work of the American psychologist William Glassier. It is based on the idea that behavior such as substance abuse always occurs because of choice. The individual develops the idea that using these substances will improve their lives, and this explains why they do it. Accessibility, cost-efficiency, and prevalence all fuel a rising drug epidemic. Many users do not start using heroin on a whim. Instead, they receive a valid prescription from a physician or a friend offers some extra Hydrocodone lying around. The feel-good experience seems harmless enough. When the prescription supply runs out, users who crave the high will do anything to achieve the feeling of euphoria again. They turn to heroin, and drug dealers are more than happy to oblige. Over time, heroin ravages the body to the point that users feel the need to take more not to get high, but to stave off the symptoms of withdrawal. More subtle contributing factors may underscore Detroit’s drug epidemic. When residents lost their jobs and their homes during the 2008 downturn, many had trouble landing on their feet. As financial troubles begin, relationships fall apart, and other life struggles arise, people increasingly search for an escape. When opioid prescriptions and heroin are around, people use them to escape from reality instead of facing it. It has been noted drug abuse often runs in families, suggesting genetics is one of the causes of drug abuse. While having parents that abuse drugs put a child at risk, it is possible for the child to grow up without drug abuse problems. It is also possible to abuse drugs without having any other drug abuser in the family. It is clear genetics alone is not the cause of drug abuse. Drug abuse often occurs alongside other conditions like mental illness. While mental illness itself is not thought to cause drug abuse, one condition may indicate, and be complicated by, the other. One of the causes of drug abuse may be the attempt to manage the symptoms of an underlying mental illness. For example, a person with depression may repeatedly use a drug to “get high” as an escape from their depressive mood (called self-medication). The depression wasn’t the cause of drug abuse, but it was a contributing factor. It is known, however, not everyone with a mental illness abuses drugs so mental illness alone is not the cause of drug abuse. Various drugs have such a strong enough effect on the body that they can result in changes in a person’s appearance. Any substance abuse can result in changes in appearance. The person may neglect personal hygiene, in addition to having bloodshot eyes, persistent dark circles under the eyes, bruises, and potent body odor. Still, these signs are not necessarily a result of drug abuse. However, if they occur with some of the other signs and symptoms listed above, drug abuse may be a factor. Together, these brain changes can drive you to seek out and take drugs in ways that are beyond your control. More deaths, illnesses, and disabilities stem from substance abuse than from any other preventable health condition. Today, one in four deaths is attributable to illicit drug use. People who live with substance dependence have a higher risk of all bad outcomes including unintentional injuries, accidents, a risk of domestic violence, medical problems, and death. Nearly 4 percent of pregnant women in Detroit use illicit drugs such as marijuana, cocaine, opioids and other amphetamines, and heroin. These and other illicit drugs may pose various risks for pregnant women and their babies. Some of these drugs can cause a baby to be born too small or too soon, or to have withdrawal symptoms, birth defects or learning and behavioral problems. Additionally, illicit drugs may be prepared with impurities that may be harmful to a pregnancy. Pregnant women who use illicit drugs may engage in other unhealthy behaviors that place their pregnancy at risk, such as having extremely poor nutrition or developing sexually transmitted infections. Drug and alcohol abuse not only has negative effects on your health but can also have legal consequences that you’ll have to deal with for the rest of your life. Many employers require that you take a drug test before offering you a job—many of them even conduct random drug tests even after you become an employee. Refusing to give up drugs could end up making you unemployed, which comes with even more issues. Driving under the influence of drugs or alcohol can lead to a suspended driver’s license, usually for 6 months to 2 years. You’ll also need to pay heavy fines and may even spend some time in jail. Drugs and alcohol are expensive, especially when you’re using a lot and constantly. Substance abuse also impacts your productivity and success at work and in school. The time spent searching for, using and recuperating from drugs can be better spent learning new skills to advance your career. The legal issues tied to drug use will increase your bills as well. Your car and health insurance rates may increase and you will have to find a way to pay for arrest warrants, DUIs, and legal counsel. People think they will never get addicted, but many end up addicted. Someone who is addicted loses control and judgment and when the use of the drug is stopped, may suffer severe psychological or physical symptoms, such as anxiety, irritability, unhappiness, and stress. Your behavior to loved ones will change, you will begin to do and say things that you usually will never do or say. This will damage your relationship with others. Substance abuse affects the emotional, financial, and psychological well-being of the entire family. Teens that use drugs withdraw from their family members and family activities, as well as set bad examples for any younger siblings. Because their judgment and decision-making ability become greatly impaired, they may become more hostile toward family members and even steal from them to get money for drugs. Your peers will stay away from you. No one will like to have a bad influence, and they will feel scared around you. You will lose good friends, and only bad friends will stay with you. Chances are, you will drop out of school. Why? Your brain is affected, and you are no more in control of your school work. You may rebel and get a suspension, you are more likely to commit a crime, and the results… you know it. The fact that there are so many causes of substance abuse makes it harder to tackle. In the past, it has been viewed too narrowly and this meant that attempts to prevent it failed. It might not be possible to completely eradicate such abuse, but a multi-pronged approach may greatly reduce its occurrence. Education may be effective at discouraging more people from moving from substance abuse to addiction. If such individuals can be stopped before they develop a physical addiction it will mean that they are spared a lot of suffering. Depending on the drug you’re addicted to, the first stage of treatment is often medically assisted detoxification. This process is one in which supportive care is provided as the drug is cleared from your bloodstream. Detoxification is followed by other treatments to encourage long-term abstinence. Many treatments involve both individual and group counseling. These are given in outpatient facilities or inpatient residential recovery programs. Medications are also helpful to reduce your withdrawal symptoms and encourage recovery. In heroin addiction, for example, your doctor may prescribe a drug called methadone. It can ease your recovery and help you cope with the intense withdrawal stage. Drug rehabilitation (often just rehab) is the processes of medical or psychotherapeutic treatment for dependency on psychoactive substances such as alcohol, prescription drugs, and street drugs such as cocaine, heroin or amphetamines. The general intent is to enable the patient to confront substance dependence, if present, and cease substance abuse to avoid the psychological, legal, financial, social, and physical consequences that can be caused, especially by extreme abuse. Treatment includes medication for depression or other disorders, counseling by experts and sharing of experience with other addicts. Residential Treatment Program (RTC) or Inpatient. Many patients continue inpatient care at the same facility where they receive detox treatment. The recommended length of stay is 30 days in an environment designed to teach the patient about life-changing tools that will help them during treatment and recovery. The patient will gain support and share with others who have experienced similar struggles. Another benefit of inpatient care is that the person is removed from the current living environment that may influence their life-threatening behavior. This may include access to the substance of choice, family or friends who themselves may not know how to support the person, as well as events or situations that may trigger the reckless behavior. A residential treatment setting allows the patient to fully focus all their efforts on recovery in a structured, medically supervised environment. Partial Hospitalization (PHP) or Outpatient Treatment Programs. The Intensive Outpatient Program (IOP) is designed for those who need minimal structure and do not need the medical support that the other levels of care offer. The person enrolled in the IOP program is empowered to live independently with the support of their family and community. Sober living houses or more commonly called sober homes and sober living homes and more rarely sober living environments, are facilities used by people recovering from substance abuse that serves as an interim environment between rehab and mainstream society. SLHs grew out of a need to have safe and supportive places in which people could live while they were vulnerable in early recovery. They are primarily meant to provide housing for people who have just come out of rehab (or recovery centers) and need a place to live that is structured and support for those in recovery. However, it is not necessary to come from rehab. Detroit and the surrounding regions have been experiencing a drop in the number of people who abuse drugs and or other substances. This trend can be attributed to access to accessible and timely information provided by individuals. If you find yourself abusing drugs and or alcohol, there is hope. Visit or call the nearest recovery center to kick-start your journey to recovery.